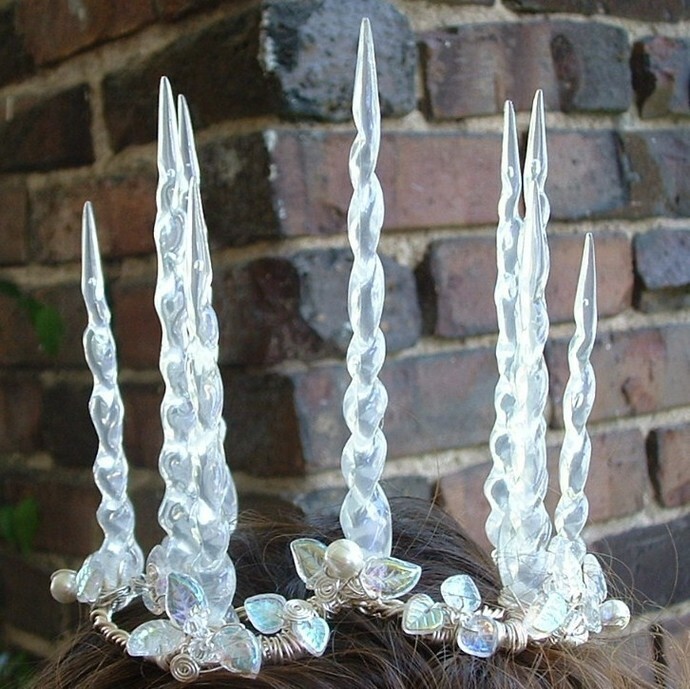 Inspired by Jadis, The White Witch of Narnia in The Lion, The Witch and The Wardrobe, this is a wintery snow and ice crown for a magical occasion. 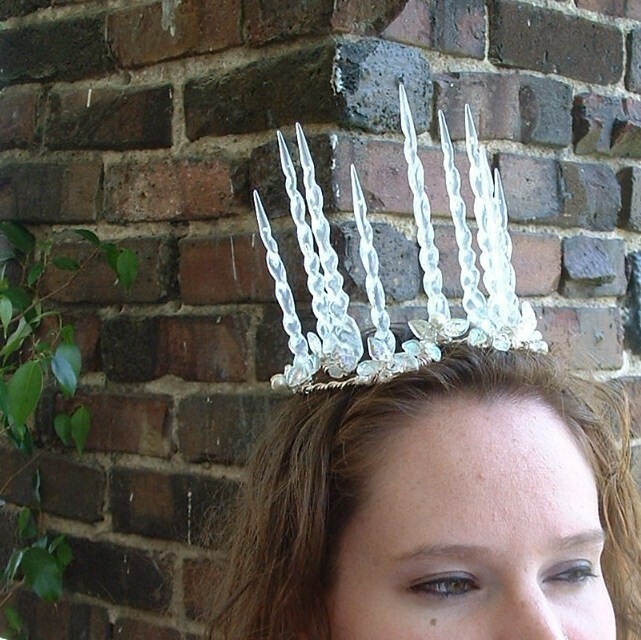 Swarovski Crystals & pearls, czech glass, acrylic icicles and silver wire are combined in this wintery magic tiara. The icicles vary in height with the tallest one being appx. 5 inches tall. 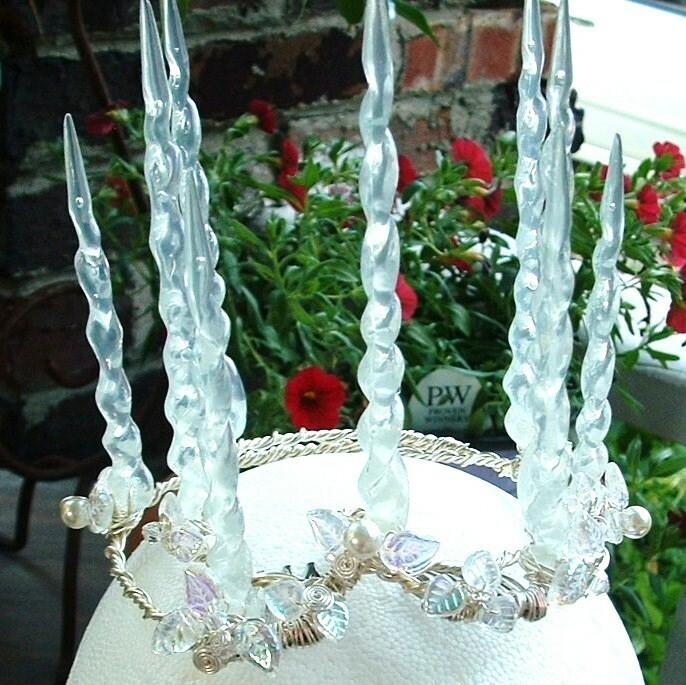 These are made to order, so if you would prefer the icicles to be shorter, please let us know.